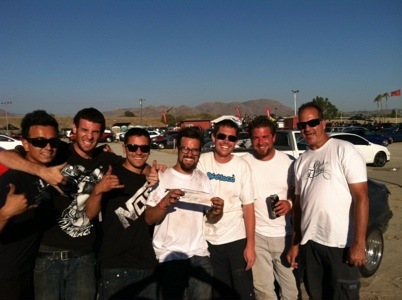 Yesterday Ryan Litteral competed in a drift comp at AMP and took home 1st place and a $1,000 check! The day started out with problems the corolla really hasn’t had any maintenance done to it for a long time the battery was trash and it was causing problems at high rpm. 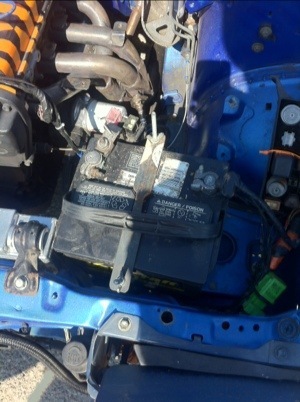 Andrew Molina and I ran out to autozone and grabbed a new battery, terminals and plugs. Then we went straight into qualifying Ryan put down a 97 on his first qualifying run do that took the pressure off for our next 2 qualifying runs which is good because the corolla started throwing a code and went into limp mode for the 2nd qualifying run. We check the codes and it was throwing a knock sensor code so we unplugged it hoping to limp through the next run. 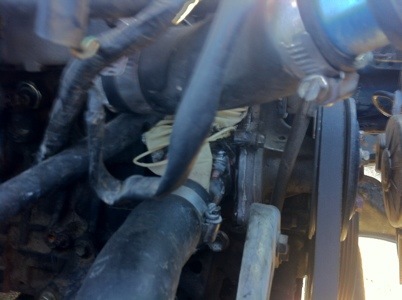 After that we ran to autozone and picked a knock sensor from a mk. 4 supra luckily they had one in stock. Got the sensor changed out and the sounded great better then it has in a while. Ryan looked great in top 16 practice with the car finally working right. 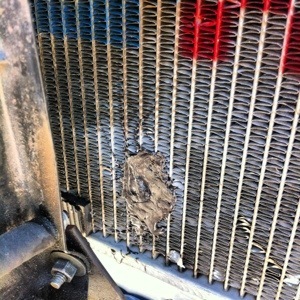 Then in a follow run in practice a tire got kicked up and smashed the oil cooler into the radiator damaging one of the rows. Back to autozone for some JB quick weld and cleaned it all up good as new! After top 16 we noticed another coolant leak coming from the water neck where the stock temp sensor goes it just had a bolt jb welded into it originally. With no other option we just added more JB weld. 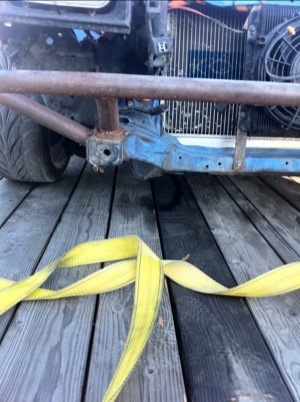 Around the same time we noticed that the left rear wheel had sheared a lug stud and the bolts were super loose. With no replacement shanked lug nuts for the mags we had to borrow lugs from Ryan’s dads Tacoma pickup. Everything sorted and our fingers crossed Ryan breezed through the rest of the comp with some exciting runs but no one could match his speed when he was leading pulling a 2-3 car gap by the last turn during most of the battles. With the win under our belts and the car loaded it it decided to start leaking again! Luckily it made it through the comp in one piece. We had planned to have a little BBQ at the shop but with the win it turned into a huge BBQ with most of the drivers from Adams and a lot of our friends coming by to check out the new place. 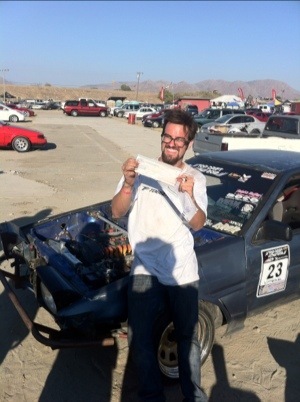 It ended up being a great day and Ryan drove great despite all of the car problems. It really goes to show you what a good team of guys can do. ~ by B. Rogers on July 8, 2012.